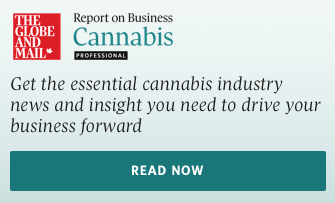 Report on Business Cannabis Professional Where are the weak links in the cannabis supply chain? Where are the weak links in the cannabis supply chain? There’s been much debate about the extent and causes of cannabis shortages in Canada since last fall’s legalization. Consumers, retailers, and provincial agencies complain about major shortfalls. Producers admit to operational difficulties but also blame onerous federal rules. By contrast, federal officials point to increases in the number of licenced growers and inventories. Bill Blair, the minister responsible for administration of the Cannabis Act, weighed-in on the topic last week. He claimed there’s “sufficient supply to meet and exceed existing demand.” But analysis of newly-released Health Canada data paints a different picture. It’s true there’s been rapid growth in cannabis production and stockpiles. In 2018, aggregate cannabis production increased almost 11 per cent a month, on average. That’s for dry cannabis (flowers and leaves) and cannabis oil products combined. The growth was strongest in mid-year, and moderated in the fourth quarter. Consequently, producers’ unfinished (work-in-process) dry cannabis inventory grew to the end December at 109 tonnes (1 tonne = 1,000 kilograms). Unfinished cannabis oil holdings similarly rose to 26.0 kilolitres (1 kilolitre = 1,000 litres). Those inventory increases at producers indicate cannabis harvesting and oil extraction kept pace with later processing steps. But contrary to federal suggestions, they prove little about demand being met at retailers. For that, sales numbers are more relevant. December’s dry sales totalled 7.2 tonnes: 5.4 to recreational customers and 1.8 to medical clients. Oil sales totalled 7.1 kilolitres: 2.1 recreational and 5.0 medical. If we simplistically combine oil and dry together, it puts total December sales around 14.3 tonnes. That’s almost 3 per cent higher than November’s. Such growth is good. But sales only include demand that’s met; they exclude potential customers who couldn’t find products they wanted, i.e., “lost sales”. Health Canada’s latest cannabis demand estimate equates to 77 tonnes monthly. December’s legal product sales covered less than a fifth of that, far from sufficient to “meet or exceed” demand. Almost 63 tonnes monthly of unmet demand was left for black markets. Further analysis indicates both strengths and weaknesses in the cannabis supply chain as it pursues those lost sales. Oil products provided the strengths. Estimated finished goods production for oil hit 12.3 kilolitres in December, up slightly from November. This let producers’ inventories increase 15 per cent to 27.5 kilolitres. That’s almost four months’ worth of current recreational and medical sales. Producers also shipped around 6.2 kilolitres of oil products to distributors and retailers in December, nearly as much as in November. This boosted total distributor-retailer inventory 55 percent to 11.3 kilolitres. That’s enough for five months at current recreational sales rates. The increase suggests oil availability at retailers likely improved going into 2019. By comparison, dry cannabis operations were weaker. December’s finished goods output apparently totalled just 6.4 tonnes, 46 per cent below November’s total. That was insufficient to cover even one month’s recreational and medical sales, let alone purse unmet demand. Producers’ finished product inventory consequently fell 14 per cent to 8.9 tonnes. Similarly, estimated shipments to distributors fell to 6.0 tonnes. That was 27 per cent less than November’s total and 45 per cent less than October’s. Shipments did exceed recreational sales, so wholesale-retail inventory grew slightly to 10.2 tonnes. These declines in production and shipping suggest dry product shortages likely worsened in early January. Unfortunately, oil’s strength and dry’s weakness are misaligned with consumer preferences. Dry products made up 74 per cent of fourth quarter recreational sales nationwide. They hit 90 per cent in Quebec and New Brunswick. Thus, legal supplies seem weakest where demand is greatest. That imbalance could moderate later this year. Legalization of cannabis foods and beverages should trigger more oil demand. Meanwhile, producers are hopefully redoubling their efforts to improve dry cannabis supply. The above analysis aggregates sales and inventories across the entire industry. But producers not only need enough cannabis in total, they also need the specific products consumers prefer. So even once supply and demand are better balanced in aggregate, companies will still face challenges supplying individual products. Michael J. Armstrong is an associate professor in the Goodman School of Business at Brock University.